Abstract: This study investigates university students’ perceptions towards an English for advanced academic writing purposes (AAW) course taught in a private university in the United Arab Emirates. It probes into the relevance of the skills taught to the students’ academic disciplines. Data was gathered through a short survey administered to students who successfully completed the course. The transferability of skills was measured in light of some of the learning objectives of the AAW stated in its syllabus. Findings indicated positive students’ attitudes towards the AAW course. They also revealed that some learning outcomes did transfer to students’ writing tasks in their major courses. However, transfer of these skills was more noticeable in some university disciplines (e.g. English) more than others (e.g. Business Administration). Detailed explanations of reasons and contexts for skill transfer are presented. This research concludes with some pedagogical recommendations and suggestions for course improvement and further research. Abstract: The paper deals with the significant increase of English words and expressions in Romanian media, in the general context of English and American words’ invasion. The premise from which we start to analyze the influence of English on Romanian audiovisual space is that this influence is specific not only to Romania, but is also found in many countries worldwide. Massive borrowing of Anglo-American terms was obvious after the Second World War in most European languages. This paper constitutes an awareness call to all communication specialists, putting particular emphasis on journalists’ role and those responsible in communication to convey future generations a constant concern for all that means Romanian language. The second part of the paper presents examples of necessary borrowings and luxury Anglicisms from different fields: economic, financial, trade, education and research; sports, communication and media terminology. Then, the next part deals with examples from Romanian newspapers, magazines, from TV and radio. The media, the main providers of Anglicisms, have built a secondary reality, relying on information, reports and interpretations which they select, order them according to priorities, and spread them among the public, using a certain terminology. The attitude of speakers and specialists to the avalanche of English terms in Romanian audiovisual language must be a rational one, since it is necessary to measure both advantages and disadvantages. Therefore, in this paper I wish to plead for quality in journalistic expression without blaming the use of anglicisms or neologisms regardless of the language of origin. On the contrary, I would like to emphasize that, when their use is justified in terms of terminology and when they come to cover a semantic void or a more precise meaning, borrowings may be a demonstration of spirituality, enrichment, networking and integration of science and modern technology. The conclusion is that the influence of English should not be considered a negative phenomenon, not being more dangerous than other foreign influences that have occurred over time in our language, as long as their use is not exaggerated. Abstract: Although linguistic studies of healthcare communication are common for English dialects, they are less frequent for Spanish. Furthermore, linguistic research is virtually non-existent for Ecuadorian healthcare discourse, primarily occurring in literature on anthropology rather than linguistics per se. The present study therefore uses a qualitative approach to examine videotaped dialogues between ten Spanish-speaking patients and two Spanish-speaking physicians at a hospital in eastern Ecuador. The study’s goal was to observe naturally occurring communication to determine how patients and family physicians negotiated meaning in medical interviews. Dialogues were transcribed using a conversational analysis methodology and then were specifically analyzed by applying Cordella’s (2004) notion of physician “voices” to investigate ways that doctors conveyed different roles they had during an interview. Examples of the “Doctor, Educator, and Fellow Human” voices were reflected in the data, both in complementary and overlapping contexts. A secondary goal of the study was to provide videos of authentic medical interviews for use in teaching aspects of conversation to students taking intermediate Spanish for pre-health professions. Responses to questions about the video suggested that as students worked to improve their comprehension in a clinical context, the video dialogue raised their awareness about pragmatic notions such as politeness and register, “voices” (or roles) that physicians and patients use in cooperative/non-cooperative interaction, certain discourse markers, and embedded cultural beliefs about health. As a result, authentic dialogue within this specific context, that of medical Spanish interviews, served as a meaningful method for teaching pragmatic concepts, negotiation of meaning, and culturally implied information. It is therefore likely that authentic health conversations such as those in this study can inform language education for medical professionals and, by extension, that domain-specific dialogue likely has practical applications in other areas of instruction in languages for specific purposes. Abstract: This study includes both theoretical and qualitative research and falls within the framework of semantics and lexicography. It is based on work conducted as a part of the COMBIDIGILEX research project: MINECO-FEDER FFI2015-64476-P. The lexicographical description proposed in the COMBIDIGILEX project is based on the foundations of bilingual lexicography from an onomasiological perspective, including paradigmatic information and syntagmatic analysis, which is useful to users creating texts for students at an advanced level. The project analyses verbal lexemes in German and Spanish based on a paradigmatic, syntagmatic, orthographic and morphological perspective (among others). Subsequently, a contrastive analysis was conducted between both languages. In this contribution, we first analyse what paradigmatic information is, including its relevance to a dictionary. Paradigmatic information includes not only synonyms and antonyms but also hyperonyms and hyponyms, which often complete the lexicographical article in a general dictionary. Paradigmatic relations can be observed in light of semantic definitions or may independently become part of the lexical entry. Forming the paradigmatic information of an entry in an independent manner is known as “intentionelle Paradigmatik”, and it constitutes a series of advantages in the dictionary (Hausmann 1991b: 2794). This type of information aids the processes of production and expands vocabulary. Next, we examine the appearance of synonyms in three German online monolingual dictionaries – DWDS, WORTSCHATZLEXIKON and DUDEN ONLINE – from the semantic perspective of cognition verbs. The primary objective of the study is to demonstrate the relevance of this type of information as well as the needs it covers from a user’s perspective. Offering the user a series of lexical elements along with information on semantic relations of a paradigmatic nature thus addresses the issue of users having an array of possibilities at their disposal with which to express themselves. From these possibilities, the user can choose the one that best suits his or her purpose based on a variety of requisites, such as the type of text, stylistic recourses and so on, allowing the most fitting linguistic element to be inserted into the text. Another related objective is learning the ways in which paradigmatic information is reflected in these dictionaries. Thus, the differences between general monolingual dictionaries presenting paradigmatic information and paradigmatic dictionaries are revealed. Keywords: Paradigmatic Information; Lexicography; Synonyms; Online Dictionary; Onomasiological Perspective. Abstract: This paper is a comparative analysis of the English language assessment of the university entrance examinations “la Selectividad” and “das Abitur” administered nationwide in Spain and Germany respectively. It is of particular interest to researchers and practitioners of English as a foreign language. The major objective of the current research is to identify any similarities and/or differences in the assessment of English as a foreign language for university admission between the two countries. To this end, the test papers used in 2015 for students in Madrid and Berlin were investigated qualitatively. In order for the analysis to be more systematic, the framework from Douglas (2000) was employed. The findings demonstrate that the two national tests share some similarities. First, the candidates of both tests are required to read the given textual input first before they can complete the writing tasks. Second, listening and speaking skills are not assessed in both tests. On the other hand, overt contrasts between the two tests were identified. The assessment designed for the German students takes longer to complete, and it contains a markedly larger amount of textual data. Furthermore, Spanish students are expected to give “selected response” or “limited response” most of the time while “extended response” to all questions is elicited from German candidates. The findings of this study are valuable because they have shown that the national assessment of English as a foreign language for university admission can vary greatly across non-English-speaking European countries. The assessment in Germany appears to be more challenging than the one in Spain, notwithstanding the very early start of English learning among Spanish children. Given the status of English as an international language, it is highly recommended that some measures be taken, at least among members of the European Union (e.g., via a committee modeling on the Bologna Process), to harmonize the assessment of English as a foreign language for the purpose of university admission. Abstract: In most cases, before choosing a dentist and request an appointment, the patient gets informed from relatives, friends, and acquaintances. Nowadays he also has the opportunity to make the choice by consulting websites or Facebook pages of dentists. The trust is outlined prior to the meeting itself, before stepping into the cabinet. For good visibility, for attracting and retaining a greater number of patients, for an effective communication with patients as well as for gaining their trust, many dentists have decided to create their websites so as to present the cabinet and their services on the Internet. Moreover, their mere presence on the Internet gives authority and gives the impression of strong, well-prepared, modern and open personalities. If the speech they build manages to calm the fears and anxieties of the patient, if the tone is warm and close to the patient, if the site is attractive, not only informative, the patient will be convinced of the qualities and competence of the doctor and his team, of the fact that they will benefit of quality treatment in a pleasant and modern environment. 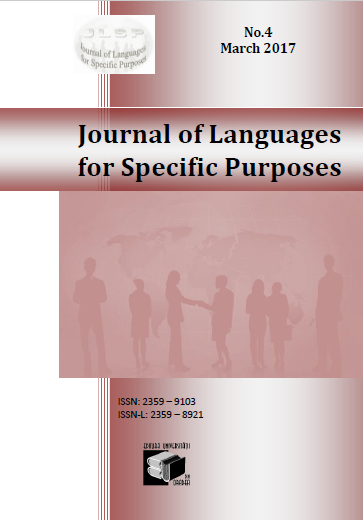 We consulted numerous sites from different cultural environments – French, Italian and Romanian and, given the size of this paper, we presented the theme construction of the discourse in three of them, from the perspective of the French School of discourse analysis. In our view, the theme construction gives clues on how the organization shapes its identity, being a collective discursive construction. We examined what information was selected to be presented, the way they are organized and prioritized, the layout, titration, the text – photo / audio-visual documents relation. 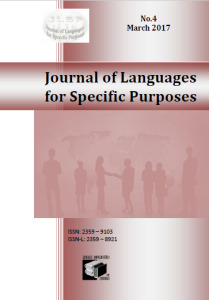 Each and every time we found the concern to provide information and explanations, the focus on some keywords (quality, accuracy, competence, experience, performance, innovation), the constant presence of the word “smile” in the discourse, an important number of images, building a speech steeped with trademarks of subjectivity and the preference for certain isotopes. All these rhetorical strategies contribute to a positive attitude towards the dentist and dental treatments. Abstract: Due to the application of new technologies, computers as the new medium of our society have opened a new dimension of teaching languages. Information systems allow for leaving the classroom virtually, finding authentic and topical teaching resources in the target language. The present study shows how teachers can incorporate the internet in teaching foreign languages for specific purposes and aims to outline a new language learning project applying blended learning at the University of Debrecen, Hungary. The project is aiming at reaching language competence levels expected by the job market, and also developing a language teaching program which is adjusted to the new learning routines of the students. This article gives a detailed presentation of a training programme developed in French for students majoring in tourism and hospitality BA education at the University of Debrecen. The curriculum is designed to improve written and oral communication skills in situations arising in the context of tourism. Thus a wide range of topics most important in the world of work and vocabulary development (writing a CV, finding a job, tourism internships, the hotel and the restaurant industry, etc.) are included. The article also presents how job interviews and meetings in foreign languages and other everyday situations can be included in the curriculum. Special attention is paid to motivating students with online materials and introducing internet resources for language practice and information acquisition in order to make language learning more enjoyable. 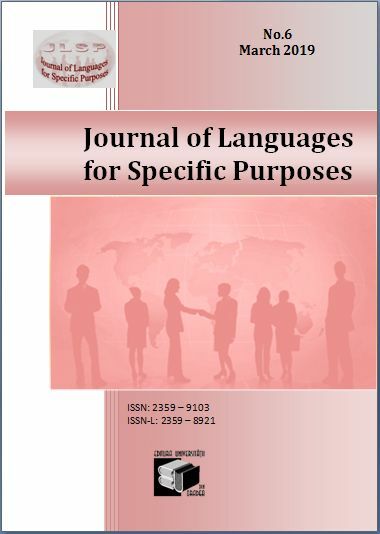 Since Hungarian undergraduate students need to pass a B2 level exam in one or two foreign languages in order to receive a degree, this paper also sets out to present the students’ specific language needs. Thus, we demonstrate that our aim is to adjust the course to learners’ needs and provide the most suitable materials in order to achieve set goals: to cover the exam requirements and at the same time prepare learners for their future work. Abstract: Following study deals with the chances of integrating immigrants into European culture. Therefore several aspects are to be analysed like: is there any linguistic and above all cultural integration possible at all, which are the factors potentially playing an important role in this respect, what are the plans for accomplishing the assimilation process, what kind of tools are there or should be developed for measuring the degree of success in integrating immigrants, what is the planned time frame for the whole project? Having a didactic approach the study tries to answer to all of the above questions and to propose methods or tools for supporting the integration process and enhancing its expected outcomes. There are numerous studies upon cultural, economic and overall integration of immigrants in Europe analysing the situation for the last five to six decades, i.e. measuring the integration rate of respective people until the end of the first decade of the XXIst century. Although these studies come to the conclusion that second-generation immigrants mostly present a native-like behaviour as a sign for successful integration, only Muslim people having some deficiencies in this respect, these findings are not by all means valid for the new wave of immigrants with mainly Muslim background flooding in Europe since 2015. Thus according to my opinion an optimistic view upon the success of the integration of newly come people is not founded at all. From the various factors supporting integration present study deals with motivation and intermarriage. The internal motivation of each individual to language acquisition necessary for every day and professional life and to adopt a behaviour pattern according to European values could be enhanced by external motivation resulting from political-institutional measures. In immigrants’ integration process not only linguistic, but above all cultural integration should play a crucial role because integration cannot be accomplished in lack of this component. That’s why study materials should be conceived according to the principles and tools of CLIL (Content and Language Integrated Learning) where content should hint at role and legal position of women and children in European societies. Beside language classes combining linguistic and country-specific cultural elements, intercultural training conducted by experts in this field would be of great help. By measuring the degree of integration both linguistic and cultural integration rate should be taken into consideration. While in language acquisition advances are much easier to observe and measure, for the time being we lack adequate tools for evaluating the degree of cultural integration. These tools are still to be developed. Albeit the outcomes of the whole process are not predictable, one thing is sure, in this project collaboration among education policy makers, sociologists, psychologists, education experts and representatives of other scientific branches is needed. Acest articol a fost postat Sunday, March 19th, 2017 la %I:%M %p	in categoriile archive. Puteti urmari comentariile aduse acestui articol prin RSS 2.0 feed. Responses are currently closed, but you can trackback from your own site.